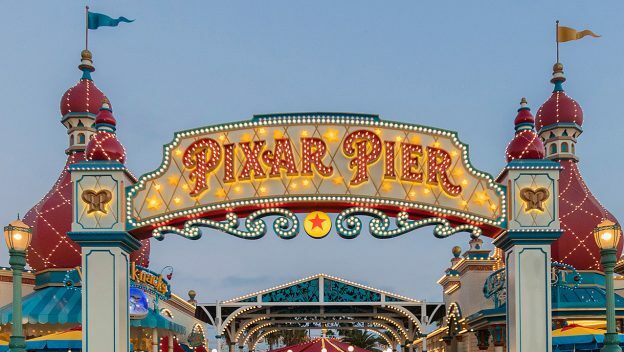 It’s a big day in Disney’s California Adventure Park..Pixar Pier is now open to guests! 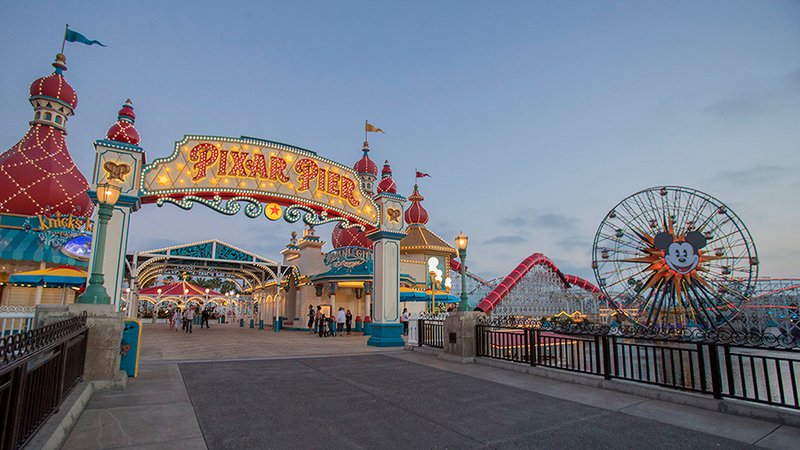 Pass under the dazzling marquee and be transported to the neighborhoods of some of your favorite Pixar worlds! 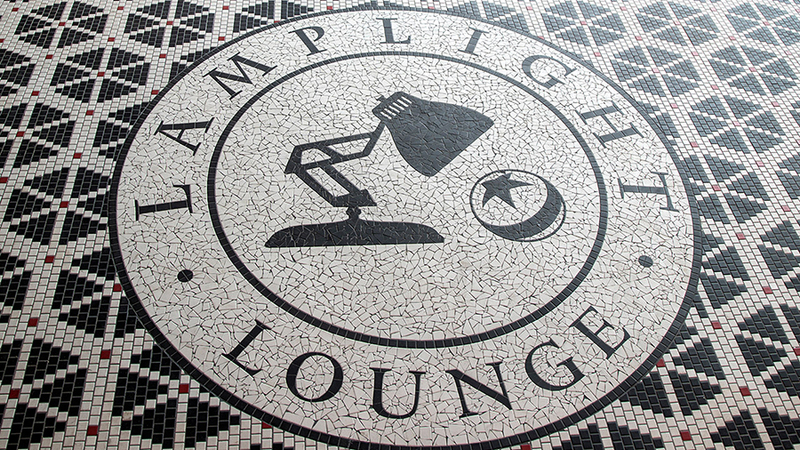 To the right as you pass under the marquee is Lamplight Lounge. 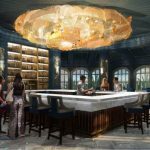 This space was re-imagined from the previous Cove Bar that was a fan-favorite for the delicious cocktails and the famous Lobster Nachos. Fear not! 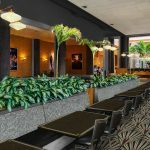 The Lobster Nachos still make their appearance on the menu with a few additional California casual gastro-pub cuisine options. 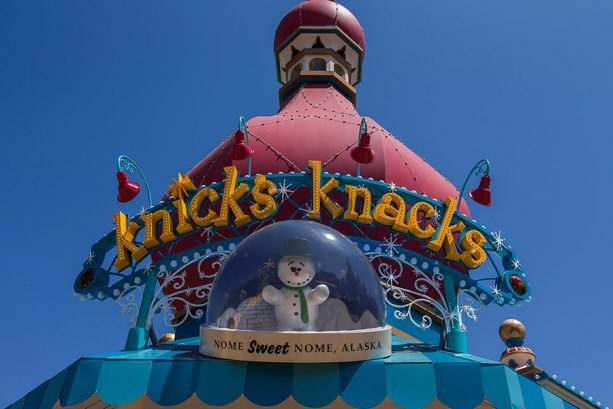 On the other side of the walkway is Knick’s Knacks. 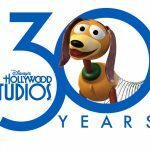 Here you can pick up an assortment of souvenirs and goodies showcasing some of your favorite Pixar characters and movies. 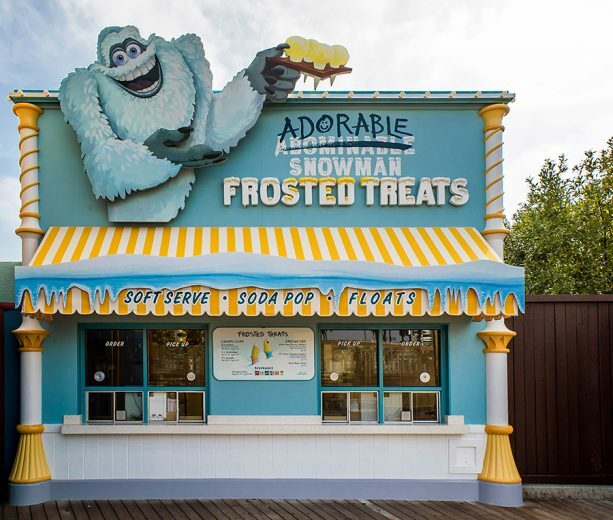 On what’s sure to be some hot summer days, be sure to check out Adorable Snowman Frosted Treats to cool off with soft-serve ice cream in chocolate, vanilla, or non-dairy lemon flavors. 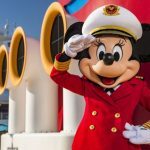 You can also nosh on some signature treats including the Pixar Pier Parfait and the It’s Snow-Capped Lemon. 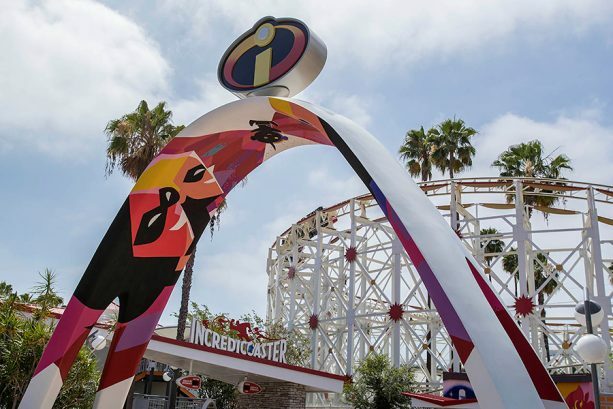 Crossing the bridge puts you in Incredibles Park where the newly re-imagined Incredicoaster anchors the neighborhood. 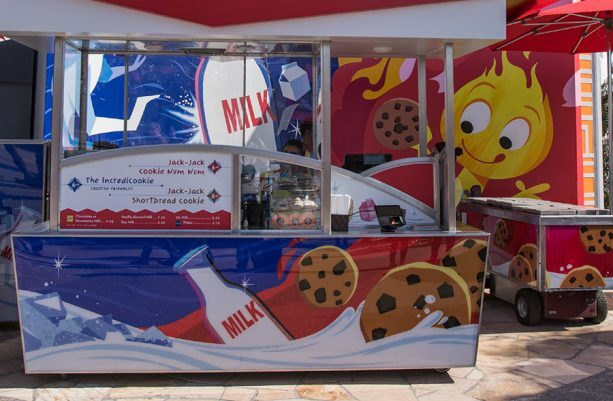 Help them catch Jack-Jack as he zooms around and be sure to stop by Jack-Jack’s Cookie Num Nums to grab a sweet snack! Just down from Incredibles Park is Toy Story Boardwalk. 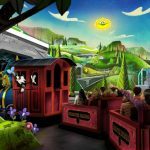 This neighborhood includes Toy Story Midway Mania and will be home to Jessie’s Critter Carousel in 2019. 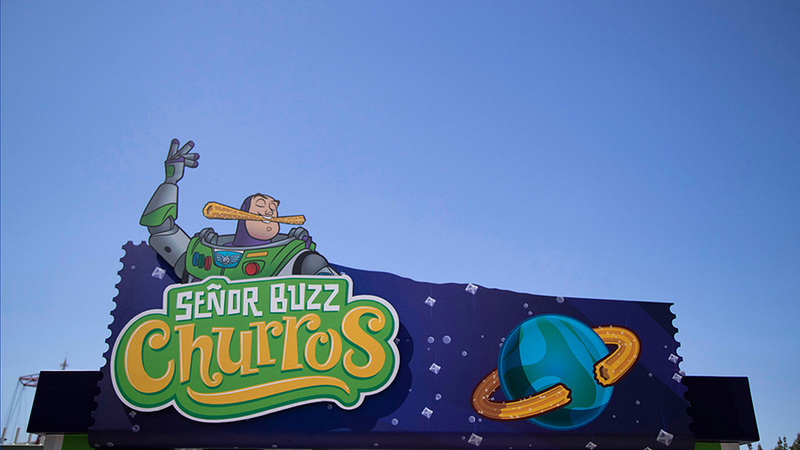 For more snacks try one of Señor Buzz’s Churros or the Poultry Palace for a more hearty snack. The beautiful Pixar Promenade celebrates the stories and music from your favorite Pixar films. 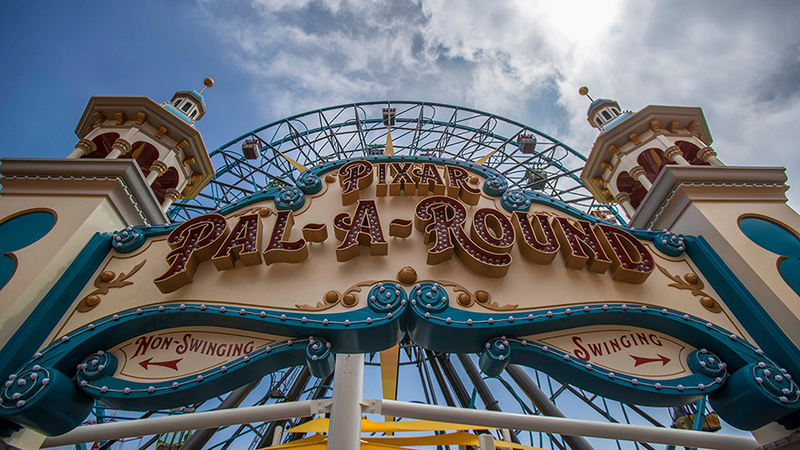 Win prizes by testing your skill at Games of the Boardwalk, take a spin around the newly re-imagined Pixar Pal-A-Round, listen to music and meet your favorite Pixar characters, and discover a plethora of souvenirs and sweet treats! 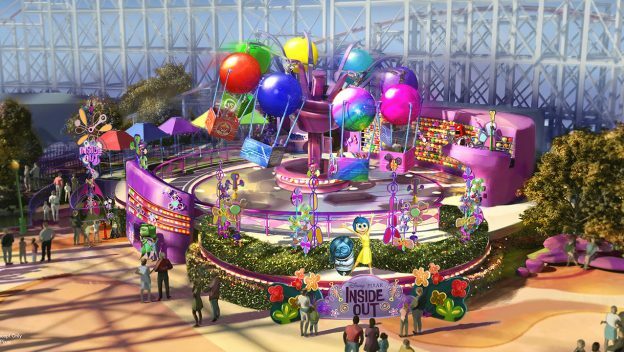 The final neighborhood will be re-imagined and debut in 2019 and will represent Inside Out Headquarters. 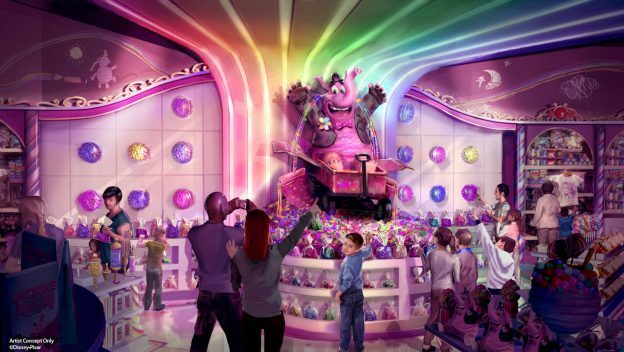 An all-new attraction, Inside Out Whirlwind of Emotions will anchor the neighborhood with the much-anticipated Bing Bong’s Sweet Treats welcoming fans with the signature Bing Bong’s Sweet Candy Tears. 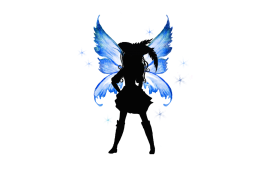 If you are ready to plan your next magical vacation to the Disneyland Resort, or any Disney destination contact Randi Jordan at Pixie Dust and Pirate Hooks.